Horasis Founder and Chairman Frank-Jürgen Richter chats with The Sociable on globalization, tech for good, and jointly inspiring our future ahead of the Horasis Global Meeting May 5-8 in Cascais, Portugal. As someone who advises world leaders in business, politics, and academia, Dr. Richter spends 80% of the year traveling the world, creating long-term relationships with global policymakers that have the power and influence to transform society. 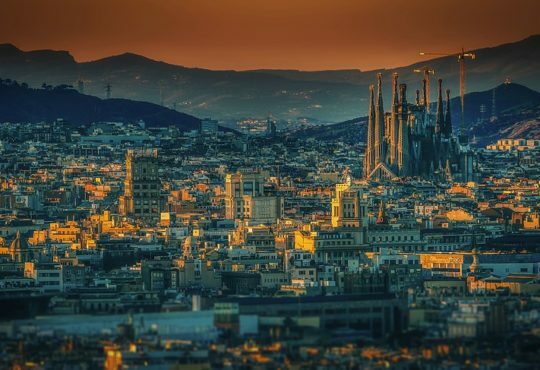 This year’s Horasis Global Meeting will bring together 600 world leaders including chief executives, heads of state, and royal families to discuss how to jointly inspire our future. 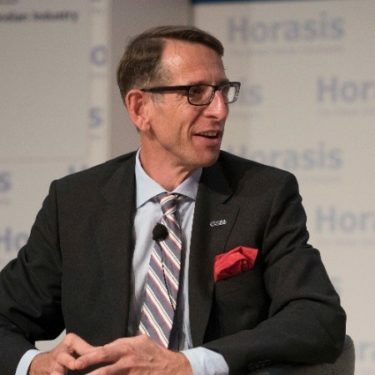 The Sociable caught up with Dr. Richter days before the flagship event to find out how Horasis is working towards embracing globalization, bridging societies, and enacting visions for a sustainable future. How does one go from being a Director of the World Economic Forum to founding Horasis? What was the reason for branching out and how does Horasis differ from WEF? I always wanted to become an entrepreneur. After an educative and interesting four years at the World Economic Forum it was a logical step to found Horasis. Horasis is concentrating on its own development and is putting its efforts behind contributions to inspire our future. We don’t benchmark ourselves with the World Economic Forum or other similar organizations. 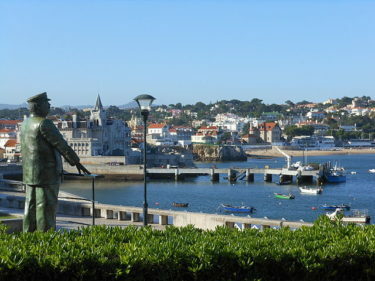 The media likes to make a comparison between Cascais (Horasis) and Davos (World Economic Forum) – one thing we can say is that Cascais is a much nicer place than Davos. Cascais has the beaches, the sunshine and its wonderful people. 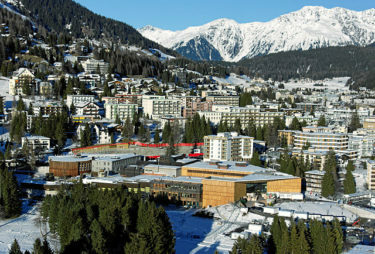 Davos is a small village in the mountains with limited hotel capacity, and constraints on its logistics: it’s cold and slippery there in winter. Cascais is open to the world as it is located on the seashore and for centuries Portugal has explored the oceans across the globe. We try to capture this open spirit in our discussions – we want to embrace globalization and sustainable development. We support open societies and open exchange of ideas across religious and secular boundaries. In Cascais, Horasis is going to collect recommendations and kick-start initiatives identified during the meeting and will investigate how progress can be made in the coming years. 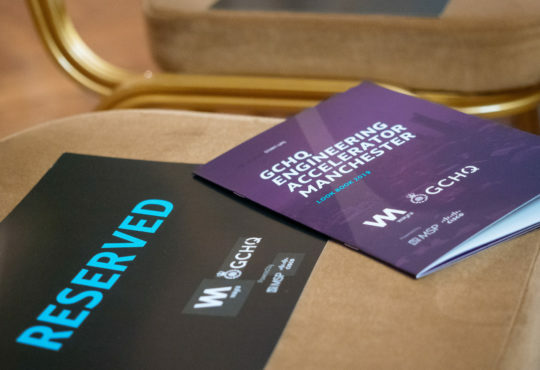 Delegates will also debate and illustrate a roadmap for economic, political and social transition – and what it will take for us to jointly inspire the future. The meeting will be a groundbreaking effort to put global cooperation on a new level of engagement and togetherness. At Horasis we recognize that identifying globally relevant issues and growth strategies require thought leadership and peer-to-peer networks. We are excited to ascertain how this year’s collaborative efforts can inspire our future. 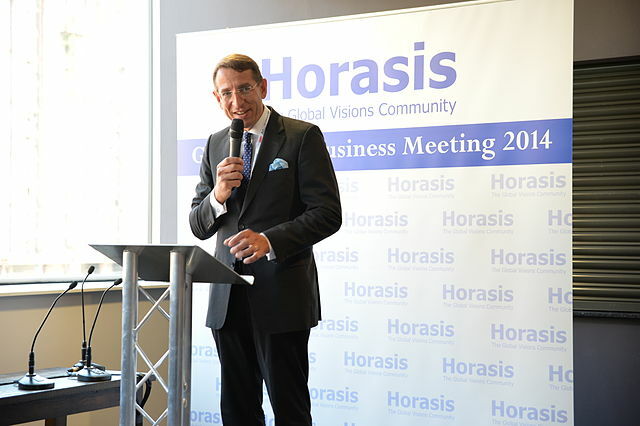 Horasis: The Global Visions Community is an independent international organization committed to enacting visions for a sustainable future. Horasis hosts annual meetings to advance solutions to the most critical challenges facing corporations today. Flagship events include the annual Horasis Global Meeting, as well as regional summits focusing on China, India, and South East Asia. You recently said in an interview on Bloomberg, ‘The current state of the world is quite gloomy,’ ‘complex,’ and ‘out-of-order.’ How can the Horasis Global Meeting help to bring order to the current state of the world? 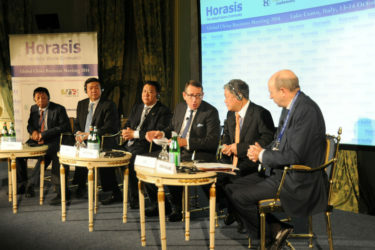 In part it is simply by open, forthright, discussion across all the topics addressed by Horasis. Media have to concentrate of the emergent news, and at an instant it often seems to be bad. Only later will calmer analysis can put this in context, but that is not the role of the anchor-people at their desks. I think many people hanker after “the old days” when the globe was less tightly connected and we can debate if it was indeed an easier place to do business when one’s instructions took half-a-year to reach far-flung colleagues. We live and work in a highly interconnected globalized world where an untoward word might inflame a remote outposts’ staff. What is needed, and Horasis provides this, is education to grasp how little it takes to work with dignity and to help all of society without being greedy. We must conserve our resources, and spread better the limited ones, like water or expert knowledge, to de-mystify the world’s operations. One of the technologies that will be discussed in Cascais this year is blockchain, which many associate with cryptocurrencies, but it goes beyond that. First, do you believe that blockchain could disrupt the way traditional banks operate, and secondly, what role do you think blockchain will play in bringing transparency to governments and corporations? I agree that blockchain seems to offer us a better future, more able to control and measure in many spheres of human endeavor while also providing transparency. Your own Journal (April 27th, 2018) has a good article describing how quantum mechanics interacts with the computer coding of blockchain. In so doing it notes how unstable the blockchain concept is at present and that we need to wait until versions 2.0, 3.0 or even 4.0 arrive to be able to take fuller advantage of it. 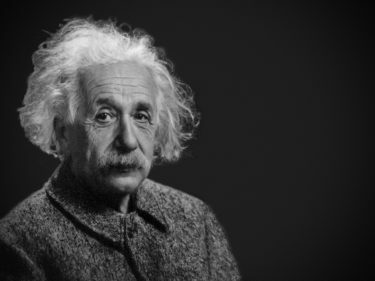 Einstein described it as a ‘spooky’ science. How do we think we can use entangled particles derived in space and transmitted across vast distances that offer insight into the fundamental nature of space-time? The time is not yet ripe for its wide-scale deployment – but tests are taking place, as they must. The Horasis panels will discuss some of these aspects at the Blockchain 1.0 level, as we just don’t know how it will evolve. Not yet. In the West, we hear a lot about how powerful China is as a global economic force, which is usually met with either fear or a sense of loathing, but I suspect this perception has something to do with preconceived misunderstandings of the past. How can Horasis serve as a bridge between East and West, so that the two see each other as allies and partners at best, or healthy competitors at worst? It is trite to say that learning to appreciate the other’s culture is foremost. But we find many bright Chinese children having been sent by earnest parents adhering to the Confucian maxim ‘that education is good’ have returned from overseas education and perhaps post-doc entrepreneurships home to China to help run family enterprises, or indeed to be part of the new innovative culture of China; some even join government cadres. These younger managers act as bridges between East/West drawing in to their milieu friends from the West or from Europe: they will form the caucus of a new understanding. They offer a vigorous discussion in our meetings. 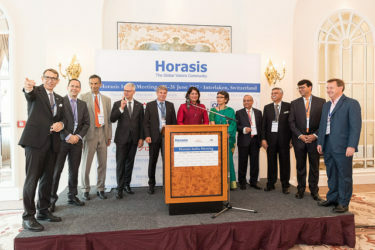 Horasis bars no one from its discussions – quite the opposite as all individuals add to the richness and they contribute to solutions. Often those who might appear as adversaries end up with a state of competition which might evolve towards full cooperation in time. Often it is enough to get adversaries to talk: Horasis acts as a bridge. You advise and give counsel to governments, business leaders, and academics from all over the world. Why do they come to you? What types of insights can you provide that all the people in their cabinets, companies, and universities can’t? What makes your perspective so unique that it puts you in a position to be able to do what you do? The Horasis Global Meeting is the product of continuous interaction with world leaders. I travel around the world about 80% of the year, meeting stakeholders we deem could have a positive impact on the world. It is not enough to send letters or to engage with social media – personal interaction is important. People with impact want to be engaged. And it is important to create long-term partnerships based on trust. I often find the strongest leaders are also quite modest, with some very strongly engaged in philanthropic work that aids the helpless. Many of our participants attend on a yearly basis – the meeting is an integral part of their annual schedule. We are proud to say that our network is growing – more and more regular participants recommend others to be invited. They appreciate the networking, we feel the momentum. 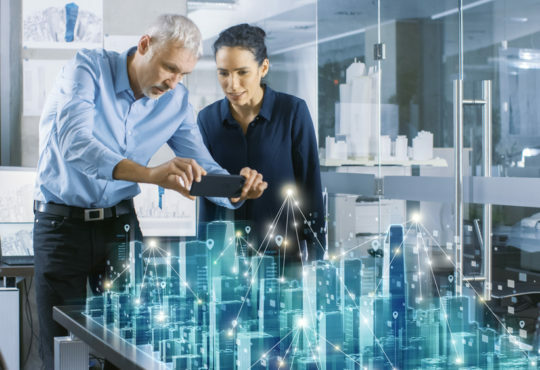 What do you see as some of the most disruptive technologies to emerge in the last five years, and how can world leaders utilize these technologies for social good? Rather than pointing to individual instances I will note sectors – such as health care. 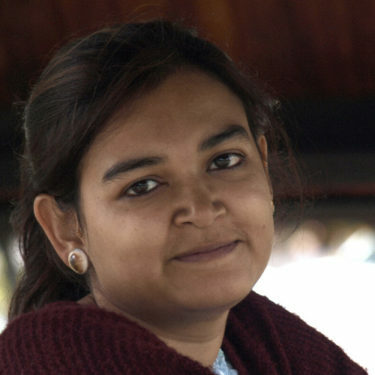 In that sector we have new techniques and interventions, and also faster development of life-saving drugs, or vaccinations, especially those that eradicate early deaths. And there is the use of digital counselling for remote health workers so they could even undertake surgical interventions using mobile robotics. 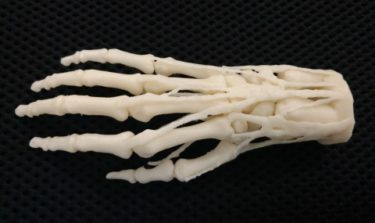 Or 3D printing – a simple system with very many opportunities ranging from bone repairing and intricate manufacturing of complex items, to building shelters on the moon for proposed colonies. All aided by the use of robotics. And AI, which is a powerful aid to human decision making (not a magic solution superseding human endeavor) – AI can scan vast data sets for links specialists miss through being over-whelmed by the task; and AI supports the development and use of robots. And so, robots are also a great development – often hidden and unnoticed but working tirelessly 24/7 for our betterment. 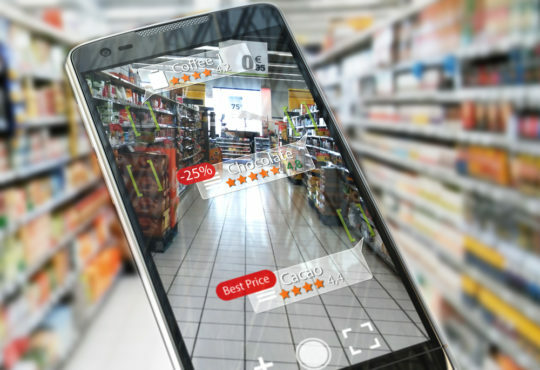 AI data analyses also contribute to the development of non-animal food products, the so-called ‘alt-protein’ sector, in which plants substitute efficiently and effectively for cattle in our food chain – saving water, land use, and the excessive feeding needed for each kg of meat. What do you believe to be the most critical challenges facing corporations today? And how can the Horasis Global Meeting solve these issues? The greater challenge is education – an initial education to nurture critical thinking, and later a life-long learning system to support job exchanges as one sector dies and a new sector awaits new staff. Within all of this are governance, honesty and trust – between individuals, corporations and governments. Horasis hosts discussions from grass-roots to internationalism to support human endeavor and fulfilment. Delegates are engaged in shaping better futures. What has been your most memorable or inspirational moment in Horasis history? 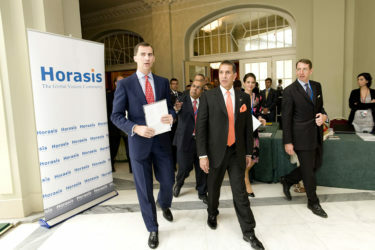 In the early days of Horasis: King Felipe VI of Spain (the then Crown Prince) attended two of our meetings. His Majesty is a remarkable person having a broad education and equally broad administrative experience which he now applies to his statehood responsibilities becoming more involved in daily government activities than expected of a modern king. His wisdom is now needed as populism is pressing in the provinces. Another memorable moment: The Prime Minister and the President of Portugal attended last year’s Horasis Global Meeting revealing the way for the years to come – we want to grow with Portugal, we want to grow with Cascais. What would you like Horasis to achieve within the next 5 years? We want to become the foremost gathering of global business leaders and eminent government leaders. We would like to create impact – not through revolution (though sometimes an idea might do just that) but by discussions that educate and which also draw together former opponents. The world has too many active conflict zones – these we can’t halt. We have a great opportunity through our active network of government leaders, thought leaders in industry, commerce, and in the religious establishment to bend ears and attitudes. It is a slow process but I believe we can prevail and help to develop a richer, more socially aware and peaceful society. Of all the world leaders you’ve met, can you name a few that have made a lasting impact on your life and why? Chinese President Xi Jingping – I had a chance to meet him two years ago, when the Swiss President invited me to join him for his state visit to China. I admire the long-term view of Mr Xi. And even though he is often criticized in the West I believe he is a true leader, putting the welfare of his people above everything. F W de Klerk, ex-State President of South Africa, who’s reminisces at earlier Horasis meetings about his long friendship with Nelson Mandela made one feel really inadequate. We celebrate the centenary of Mandela’s birth this year in Cascais. Cardinal Peter Turkson attended last year’s meeting: I like his modesty. He has learned from past experience that the Church’s justice and peace terminology often needs clarification for global Catholics. Terms used by the Vatican such as “social justice” and “gift” are not always understood the way the Vatican intends. He said, “We found out that some of the vocabulary which is just taken for granted and used freely may not always have the same sense or may have had some nuances which sometimes are missed.” And thus he works tirelessly in conflict areas, attempting to pacify all sides. And in the business world he decries the greed and idolatry of the market. 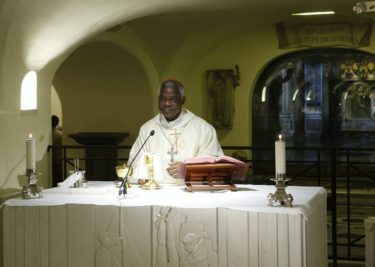 He is tipped strongly to become the first black Pope. Ultimately however we see in Horasis, in all our meetings, the people who will make a lasting impact are the ones who have not yet emerged. We hope our discussions will inform them.